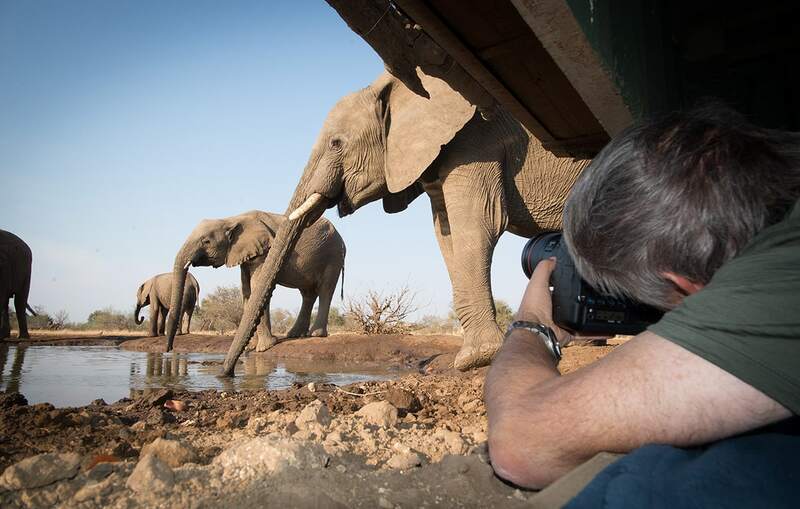 The Mashatu photographic experience is for the keen wildlife photographer. The reserve of Mashatu has been a pioneer with regard to dedicated hides for wildlife photography. The Matebole Elephant Hide, for instance, was designed to offer a unique photography perspective. Next to a waterhole, in a prime Elephant habitat, being completely sunk, it allows to shoot from the ground level. 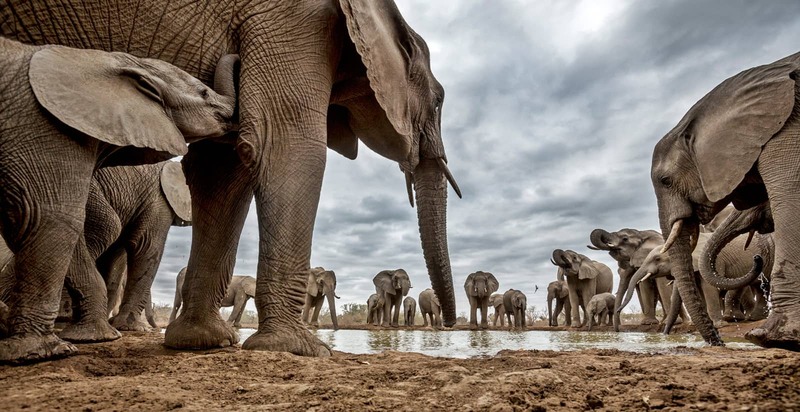 Recently, the Elephant Valley Hide complemented Matebole. Located in a very different setting, this new hide draws a wide variety of animals, including Leopards and Hyenas. Mashatu, although short of Buffalo and Rhino, comes across as one of the best places in Southern Africa for Leopard spotting. In addition to the large herds of Eland and Elephant this reserve is famous for, you have a very good chance to see spotted Hyena, Lion and Cheetah. Why choose the Mashatu photographic experience? high Leopard and spotted Hyena density. In Johannesburg, you’ll stay at one of the hotels belonging to Emperors Palace, just 5 minutes by shuttle from the airport. We have included one night prior the departure to Mashatu, as you’ll have an early start on day 2 and a drive of about 5-5:30 hours. At Mashatu you’ll stay at the Tent Camp. All year-round. During the long dry season, the all Tuli Block presents harsh conditions. After the rains start, the place goes under a radical transformation and becomes a prime birdwatching destination. Winter nights can be pretty cool, while summer days are usually extremely hot, especially in Mashatu. Do you want to extend your journey to South Africa? You can extend your journey with a self-drive (or guided) experience in the Cape. If you prefer to relax, why not considering the beaches of Mozambique or of the Elephant Coast? If you want some more wildlife and safari experience, we can arrange a transfer to the area of the Greater Kruger. The tomorrow’s drive to Mashatu being quite early in the morning, the best is you to spend the night prior departure in Jo’burg. We have then included your accommodation at the Emperors Palace, just 5 minute by free shuttle from the airport. You will meet your master at the reception of your hotel, for a first briefing. Dinner at one’s own expense. On day 2, early breakfast to hit the road by 7:30 and head north, to the border post with Botswana at Pont Drift. A vehicle from the lodge will pick us up and will transfer to the Tent Camp, in the Mashatu Reserve, where you have a game drive scheduled in the afternoon. With regard to the rest of your stay at Mashatu, you’ll alternate game drives and sessions at the dedicated photography hides. After breakfast, you will be taken back to the border, where a vehicle will be waiting for you to take you back to Johannesburg. 1 night at Metcourt Suites (Johannesburg), with breakfast. 4 nights at the Tent Camp (Mashatu) in full board. 2 game drives by open safari vehicle. 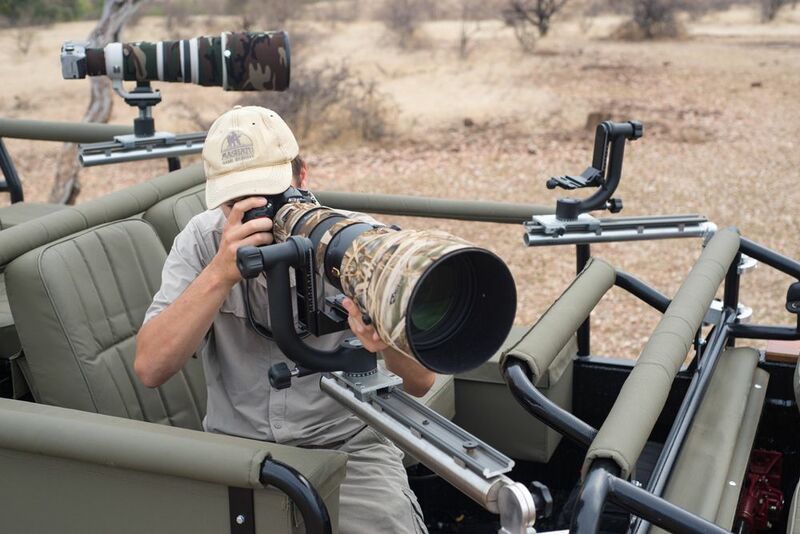 2 game drives by custom built photographic vehicle. Tutoring at camp by a professional wildlife photographer. Transfer from the airport to your hotel in Johannesburg.